Ovens require regular and professionally done cleaning to be in good condition and function properly. 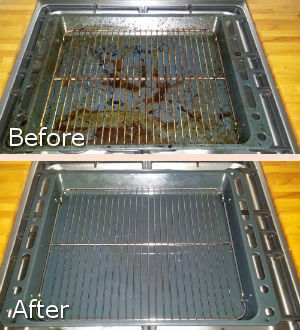 We can provide the oven cleaning which you need and make your cooking appliance look as clean as new. Our employees are supplied with effective dip tanks, mounted in their vans, which ensure excellent cleaning of all removable oven components. They work using biodegradable cleaning products that make ovens look impeccable. 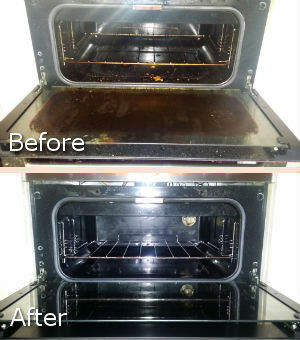 Use our reliable oven cleaning services which we provide within Bankside SE1 every day in the week. The oven cleaning which we provide can take from one to four hours, depending on the size of the appliance. First, our cleaning staff take out the racks, pans and other removable parts and soak them in cleaning solution in their vans. They use dust sheets to keep the floor and kitchen area clean while cleaning the oven. Our technicians remove the door if it possible to scrub the glass panels, handle, inside and outside surfaces. They remove the knobs whenever it is possible to sanitise them. Our oven cleaning services are provided from Monday to Sunday within Bankside at reasonable rates. The cleaning will continue with scrubbing the inside area of the cooker. The racks, trays and pans will be rinsed, dried and put back on their places. Our employees will then clean the outside surfaces of the oven: hobs and body. The cleaning procedures which we apply are efficient and remove grease, food stains, carbon deposits and dirt. Use the oven cleaning services which we offer in SE1 Bankside and your oven will be in excellent condition after we take care of it.